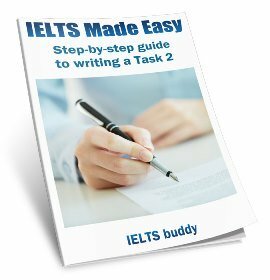 Whether to use personal pronouns in essays for IELTS is a question that comes up often with students studying for the test. Personal pronouns are words such as "I", "you", "we" and "they". 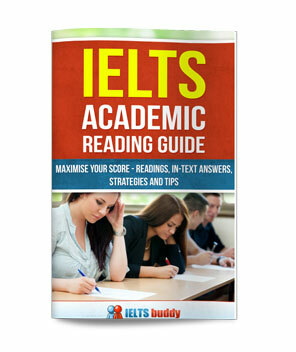 Some people believe that these words should not be used in IELTS essays because IELTS essays are 'academic' and it is not usually advised to use such personal words in academic writing. This is true, but IELTS is not the same as writing an essay at university or writing a research article for a journal. When you write an essay at university, you will have books and journals that you will refer to and you will need to use citations and references. In an IELTS essays you don't have any of these sources - you only have your own experience (and 40 minutes!). "Give reasons for your answer and include any relevant examples from your own experience or knowledge"
It would not be written in this way if you were forbidden to use personal pronouns in essays for IELTS. So you may wish to give an example from your own country, or even your own personal experience if it is relevant. "To what extent do you agree or disagree?" "Discuss both opinions and give your opinion"
So although an IELTS essay does need to be in an academic style, it is not quite the same as your average piece of academic writing and it can be more personal with the use of personal pronouns. Where can I use personal pronouns in essays and how often? So it is ok to use personal pronouns in essays for IELTS, but you should not overdo it. If you start using them all the way through, your essay will be in danger of losing its academic style. "In my opinion, students should not have to wear school uniforms". "I do not believe that students should wear school uniforms". "I agree that wearing school uniforms is necessary for the following reasons". Another advantage of using personal pronouns in essays for IELTS is that it makes your opinion very clear. The examiner will expect to be able to clearly see what your opinion is (in opinion essays). There is a possibity that if you use impersonal language the examiner will not realise it is your opinion. This is not to say you have to use personal pronouns as you certainly don't, but if you are a lower level writer it makes it very clear what your opinion is so there are no misunderstandings. What about in body paragraphs? Again, as explained above, you may wish to use personal pronouns in essays for IELTS as you are told you can give examples from your own experience and you are asked for your opinion. A few times is ok, but don't use them too much as your essay may start to look too informal. Most nations around the world have at least some, or possibly many, old buildings such as temples, churches and houses in their cities, villages and surrounding areas which have historical significance. In my opinion, it is very important to maintain these, but this does not mean progress should stop. Preserving certain old buildings is important for several reasons. Firstly, these structures provide an insight into the history of our countries, showing how people many centuries ago lived their lives. Without them,we could only learn by books, and it would undoubtedly be sad if this were the only way to see them. Many of these buildings are also very beautiful. Take for example the many religious buildings such as churches and temples that can be seen around the world. Not only this, but on a more practical level, many of these buildings provide important income to a country as many tourists visit them in great numbers. However, this certainly does not mean that modernization should be discouraged. I believe that old buildings can be protected in tandem with progress. For example, in many circumstances we see old historic buildings being renovated whilst maintaining their original character, and being used for modern purposes. Also, in no way does history hinder progress, and in fact it is the opposite. By studying and learning about our history, a greater understanding is gained about the world we live in, and this helps to build a better future. To conclude, in my view it is very important to protect and preserve old buildings as we can learn about our history as can others from other countries. Such knowledge can also help us to understand how to modernize our countries in the best way. 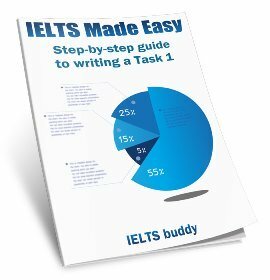 You will likely not use personal pronouns in essays for IELTS to this extent as this question is particulary suitable for it more than some others, but it shows you that it is not necessarily a problem. 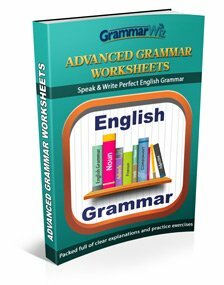 This is a good essay and it would not lose marks because of the use of personal pronouns. So to sum up, it is ok to use personal pronouns in essays for IELTS, but don't overuse them as it may start sounding too informal. Certainly make use of them in opinion essays in your introduction and / or conclusion as this will make your opinion very clear. You are less likely to use them in your body paragraphs, but it is not wrong to do so. As you saw in the essay above, using personal pronouns did not detract from the style of the essay. You may also have a particularly good example from your experience that means you need to use a personal pronoun.